As the Spring buying/selling season comes to a close, there’s good news for both buyers and sellers in the Washington, DC Metro area. Seller participation has increased, meaning a lot more inventory. We also see prices continuing to rise in the DC Metro area, with most houses being snapped up after only 11 days on the market. We recommend buyers start shopping now, with more options available and prices on the rise. Sellers should also strongly consider capitalizing on prices if they’re considering trading up or downsizing. This month sets a record high for home prices (with data starting in 1997), after 28 months of year-over-year increases. The median sales price in the DC Metro area is now $430,000, up 1.2% from last May. Condos came out on top with the strongest growth of 5.1%, bringing the median price to $310,000. Townhomes increased 5% from last year, and detached homes increased 2.3%, bringing their median prices to $420,000 and $552,634. Despite increased prices and home value, we saw another decline in new contracts for the month of May, compared to the previous year, 4.5% fewer than 2013. Local real estate has suffered from tight inventory for the past 2 years, but now we’re seeing an upturn. This past month, we saw increased seller participation with the highest number of active and new listings in 2 years. 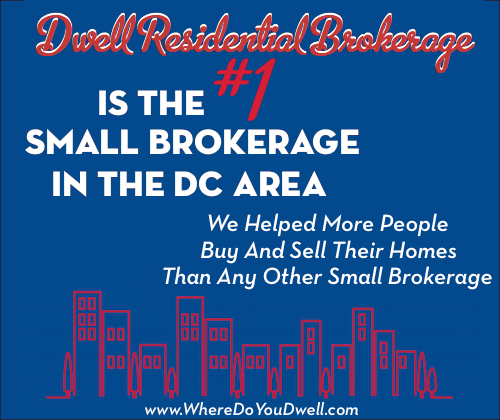 Up 30.6% from last year, active listings reached 10,446 total in the DC Metro Area. This is keeping with the trend, as we’ve seen increases 8 months in a row. Even so, these numbers remain at 59.7% below their September 2007 peak. With condos fairing the best yet again among property segments, with a 38.5% increase in active listings, townhomes and detached homes saw similarly encouraging increases of 35.2% and 26.2% more than last year. 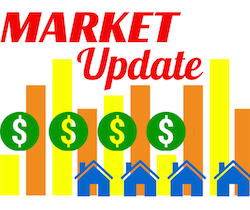 New listings have also increased year-over-year, 3 months running, totaling 7,986 in May. New condo listings increased 17.1%, new detached home listings went up 10.3% and new townhome listings rose 1.1%. The median days-on-market is 11 days, 2 days more than last year, but 2 days fewer than April and 19 days fewer than the 5 year average. What does all this mean for this area’s buyers and sellers? It’s a good time to buy and a good time to sell; we have one of the best real estate markets in the entire country.